Discussion in 'Sesame Appearances' started by Erine81981, Nov 7, 2018. 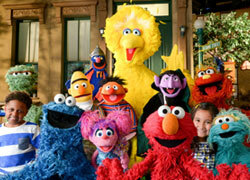 Tomorrow Big Bird, Abby Cadaby and Elmo to make appearance on the Today show. Come on at 7 AM. Pig's Laundry, LittleJerry92, Froggy Fool and 1 other person like this. I liked it. 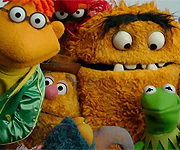 The bit where the women's kids just wanted to keep talking to Big Bird, Elmo, Grover, Cookie and Abby was sweet. The funniest parts of the live interview was Big Bird saying "I'm 6, so I guess that's how long I've been there." And Elmo trying to say hello to the TV audience and realizing the camera angle changed.